The Legend of Atlantis | Thomas Kingsley Troupe — Writer. Filmmaker. Action Hero. It was beautiful mythical city sparkling with riches. But many years ago, a huge wave washed away the entire city. 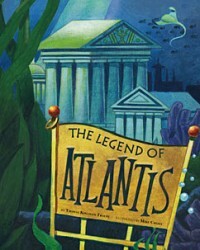 Is it possible the legend of Atlantis is true?